Feeding a growing global population is a major concern, but efforts to grow more food will place an added burden on precious supplies of freshwater. We have developed a new approach for using measurements of soil moisture from space to understand how much water is used for agriculture and potentially help farmers manage consumption. We now plan to extend the study to explore the potential offered by the high-resolution data from the new Copernicus mission, Sentinel-1, jointly with the very high-resolution optical observations from Sentinel-2. Including Sentinel missions in our study may change the spatial and temporal scales at which we can observe irrigation from space. I am guessing that with more research these new high-resolution products will be a game changer in the near future to advance our capacity to better monitor irrigation over agricultural lands. We have also raised the interest of MEDIA in the ESA website, the Science Trends and we give an interview (in Italian) for “Economia Cristiana“. 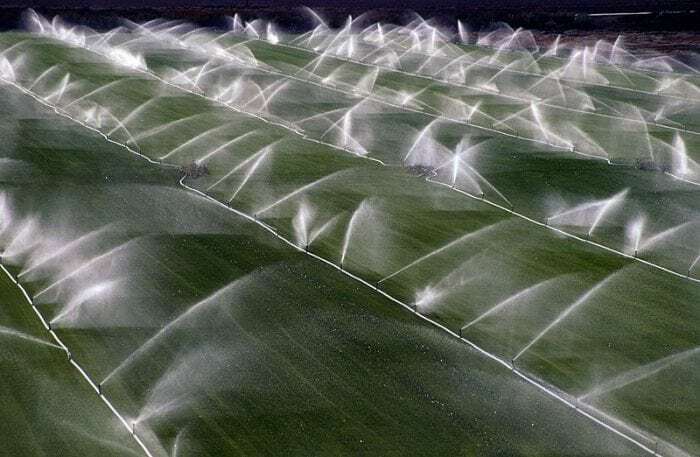 We are competing for the COPERNICUS MASTER competition as we are among the three finalists for the “BayWa Smart Farming Challenge” and the “Copernicus Land Monitoring Challenge” for the idea “Measuring #irrigation from space through high-resolution Sentinel-1 and Sentinel-2″…fingers crossed! Brocca, L., Ciabatta, L., Massari, C., Camici, S., Tarpanelli, A. (2017). Soil moisture for hydrological applications: open questions and new opportunities. Water, 9(2), 140.